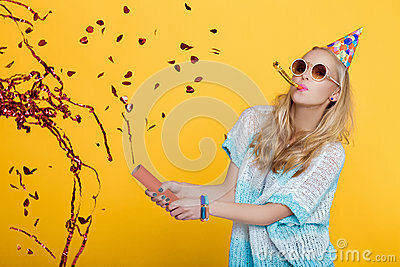 Portrait of funny blond woman in birthday hat and blue shirt and red confetti on yellow background. Celebration and party. Having fun.